Rotary New Zealand is comprised of six districts. Two of these districts also include Rotary clubs in the Pacific Islands. District 9910 serves Norfolk Islands, New Caledonia, and Vanuatu. 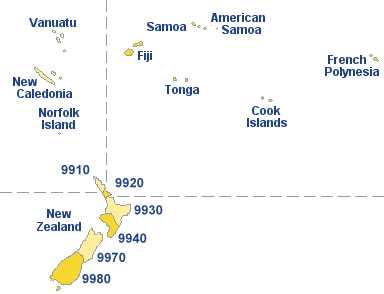 District 9920 serves Fiji, Samoa, American Samoa, Kiribati, Tonga, French Polynesia, and the Cook Islands. Below are the current district governors.